The Highland Country Club is hosting a fundraiser for the Brighton Center in February. The Brighton Center's “The Fort Thomas Canteen 80’s Throwback” event is from 8p.m. to 1 a.m. on Saturday, February 8. The master of ceremonies for the event will Katie Walters of Q-102. All proceeds from the fundraiser go to help the Brighton Center. 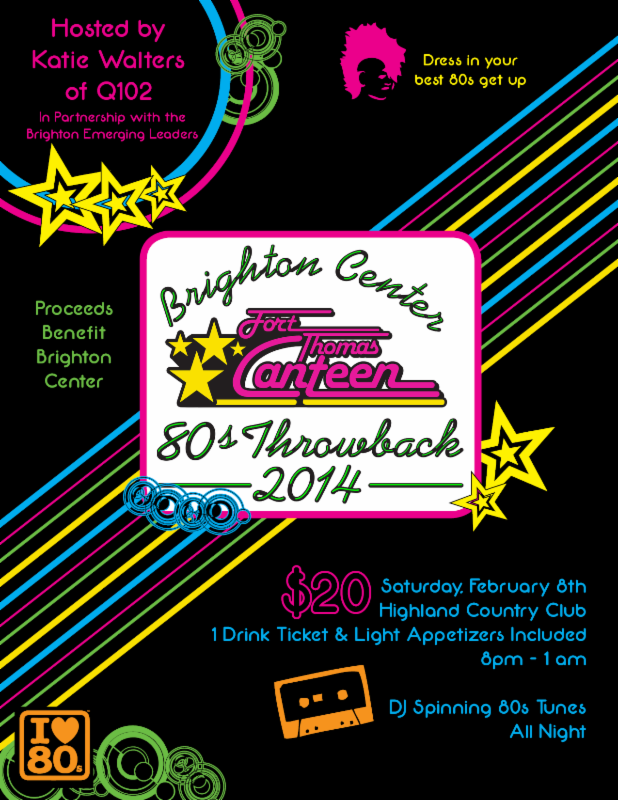 All attendees are to dress in their best 80’s garb and be ready to boogie the night away for the Brighton Center. Tickets are $20 which gets you 1 drink ticket and light appetizers are provided all night. If you want to dance the night away to 80’s hits while supporting and outstanding organization mark your calendars for The Fort Thomas Canteen and 80’s Throwback.